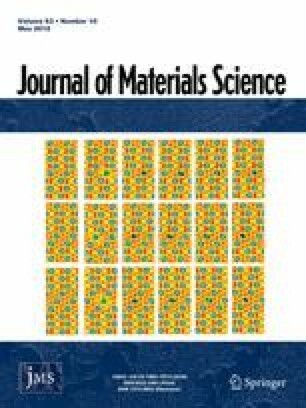 The electronic structure, transport and optical properties of thin films of Mn4Si7 and Mn17Si30 higher manganese silicides (HMS) with the Nowotny “chimney-ladder” crystal structure are investigated using different experimental techniques and density functional theory calculations. Formation of new Mn17Si30 compound through selective solid-state reaction synthesis proposed and its crystal structure is reported for the first time, the latter belonging to I-42d. Absorption measurements show that both materials demonstrate direct interband transitions around 0.9 eV, while the lowest indirect transitions are observed close to 0.4 eV. According to ab initio calculations, ideally structured Mn17Si30 is a degenerate n-type semiconductor; however, the Hall measurements on the both investigated materials reveal their p-type conductivity and degenerate nature. Such a shift of the Fermi level is attributed to introduction of silicon vacancies in accordance with our DFT calculations and optical characteristics in low photon energy range (0.076–0.4 eV). The Hall mobility for Mn17Si30 thin film was found to be 25 cm2/V s at T = 77 K, being the highest among all HMS known before. X-ray photoelectron spectroscopy discloses a presence of plasmon satellites in the Mn4Si7 and Mn17Si30 valence band spectra. Experimental permittivity spectra for the Mn4Si7 and Mn17Si30 compounds in a wide range (0.076–6.54 eV) also indicate degenerate nature of both materials and put more emphasis upon the intrinsic relationship between lattice defects and optical properties. The online version of this article ( https://doi.org/10.1007/s10853-018-2105-y) contains supplementary material, which is available to authorized users. This work was supported by the Russian Science Foundation, Project No. 16-13-00060. Aleksandr S. Aleksandrovsky thanks RFBR Grant No. 17-52-53031 for partial work related to the NIR measurements in section “Optical Properties”. The authors are grateful to Dr. A.V. Mudriy of Minsk State University for technical assistance. The equipment of the Center for Shared Use of Federal Research Center KSC SB RAS and the Ural Center “Modern Nanotechnology” of Ural Federal University was used.